At least 58 people have been confirmed dead and hundreds remain missing following a tailings dam burst at a Vale iron ore mine in Brazil. 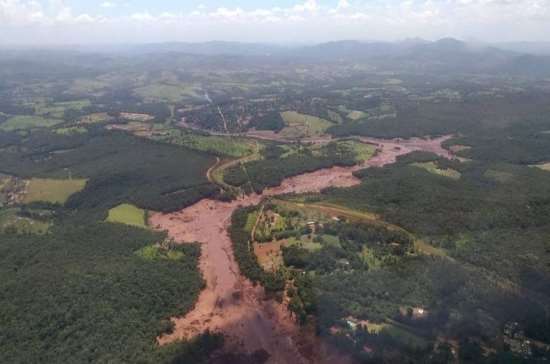 The dam burst on Friday unleashed a fatal mudslide of iron ore waste at the Feijao mine in the state of Minas Gerais, with rescue teams working tirelessly over the weekend to recover survivors. The disaster comes less than four years after 19 people were killed in a dam collapse at the Samarco mine in the same state and also owned by Vale in a joint venture with BHP. The incident was deemed Brazil’s worst environmental disaster. In a statement immediately after the latest incident, Vale’s CEO Fabio Schvartsman said the dam at the Feijao mine had a capacity of 12 million cubic metres and was being decommissioned. Vale is a member of the International Council on Mining and Metals (ICMM), which seeks to establish best practice guidelines for the mining industry. ICMM’s CEO Tom Butler called the dam collapse a ‘truly terrible human and environmental tragedy’. “Once the immediate recovery efforts are over, we MUST get to the bottom of this and make sure the lessons are properly learned and embedded across the industry,” he tweeted. On Sunday, rescue efforts were temporarily suspended after fears began to build of another potential dam rupture at another nearby Vale mine. A planned evacuation of up to 24,000 people from the city of Brumadinho was later called off.